In 1986-87, DC comics would published a new series, Elviras House of Mystery. It would last 11 issues plus a special. 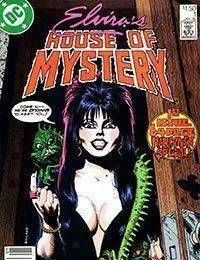 The series was a quasi-follow up towards the original series, with famed horror movie hostess Elvira temporarily taking over the job as caretaker of the House of Mystery, introducing horror stories similar to the original series.